Redeveloped website for the nationwide health promotion foundation that helps profit-to-members superannuation funds support members’ mental health and wellbeing. Having already undertaken a website audit on behalf of SuperFriend, The Digital Embassy utilised these learnings and strategic insights to deliver a website solution that would help the client engage with, and foster, strong connections with their target audience including funds, insurers, workplace stakeholders and key providers in the mental health sector. The new website needed to be developed on a responsive framework in order to be mobile friendly and user intuitive for all visitors, in particular website administrators. 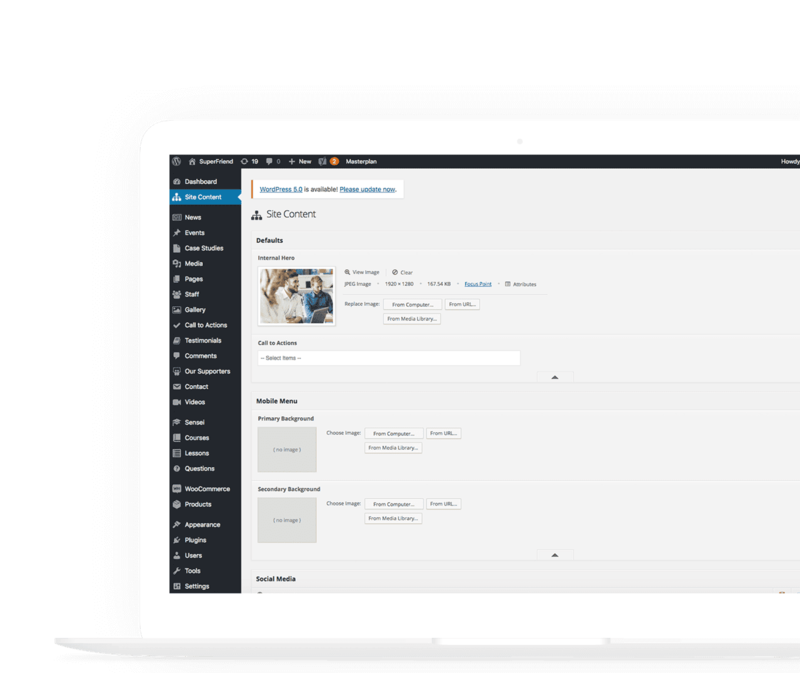 It required an easy to use content management platform to enable SuperFriend to take more control of their site and create content and campaigns as required. 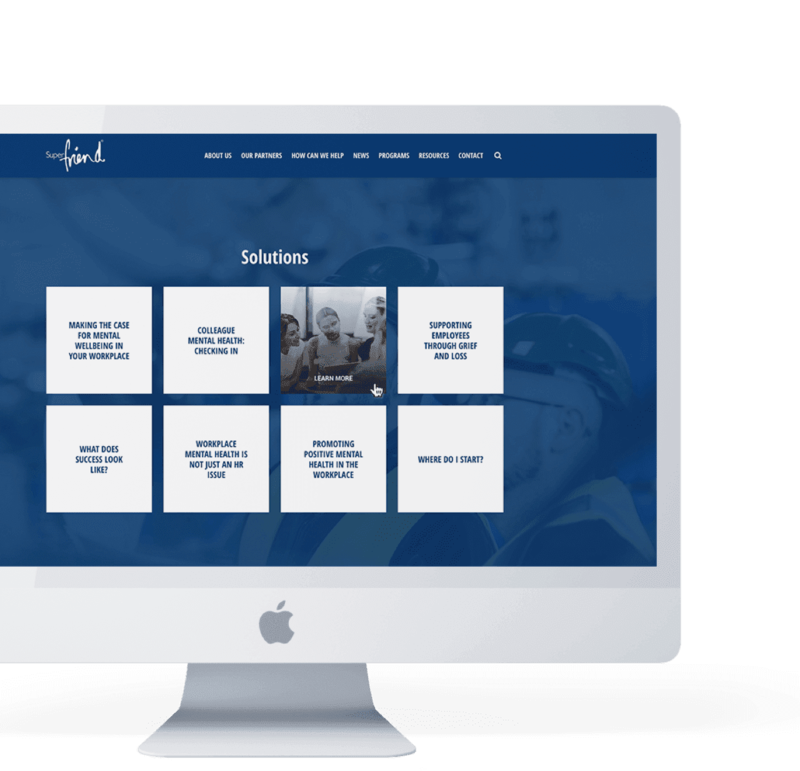 The websites redevelopment would then integrate tightly with new and existing systems including CRM, EDM and LMS platforms utilised by SuperFriend to reduce staff workload and increase efficiencies for online related tasks and processes. A digital strategy workshop with key SuperFriend stakeholders allowed The Digital Embassy to understand and consolidate key business objectives and outline functional improvements to engage and maximize user experiences through the delivery of relevant programs and resources. In addition to the digital strategy, The Digital Embassy carried out a content planning process that reviewed the use of marketing collateral and messaging across all digital platforms and provided direction and recommendations to further enhance SuperFriend’s brand identity with a consistent voice and relevant, engaging content for their audience. As part of the digital strategy process, The Digital Embassy selected WordPress as the most appropriate, customizable and suitable CMS platform for the development of the new SuperFriend website. The website architecture was heavily reliant on the consolidation and understanding of all topics and touchpoints within SuperFriend to create a user friendly navigation structure allowing for a more user intuitive experience across all devices. Incorporating tailored sign up forms with a focus on the segmentation of SuperFriend’s database, has allowed for more targeted, relevant content to be served to consumers. 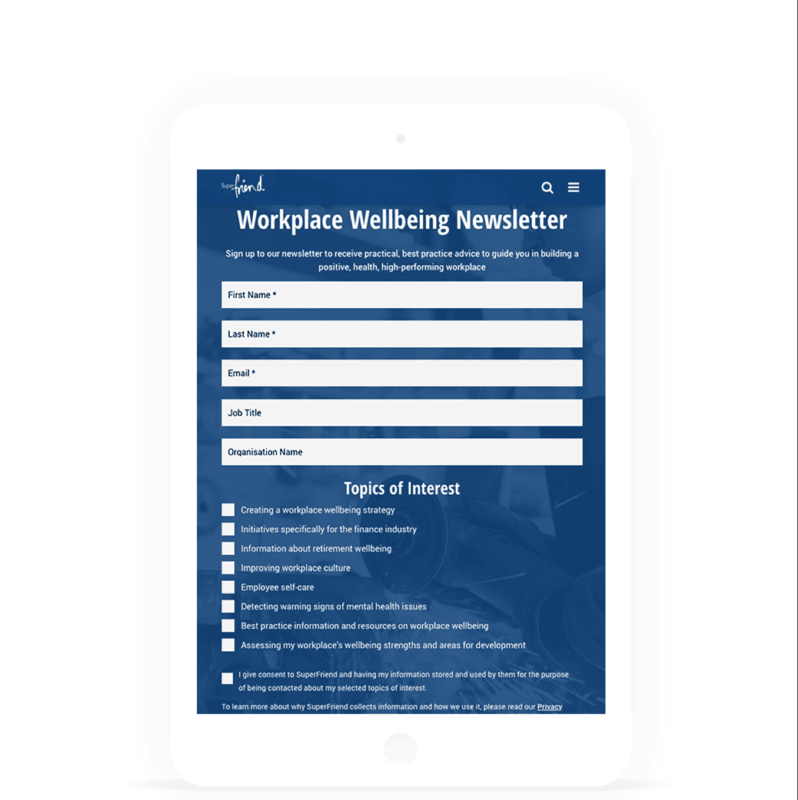 Whilst newsletter subscription capabilities have also been increased with the sign up feature integrated more prominently throughout the site. 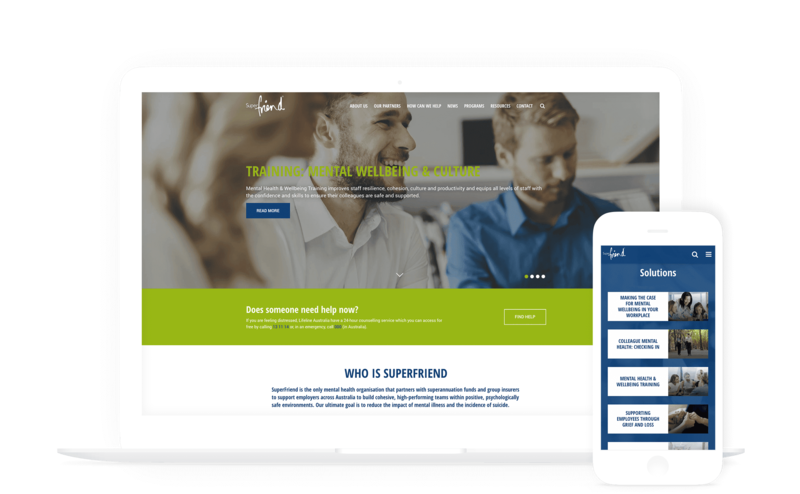 The new website plays a pivotal role as part of an overarching digital transformation strategy for SuperFriend to become the ‘go to’ organisation for employers in Australia regarding workplace mental health and wellbeing.